The debate about the policy framework for people with disabilities has climbed up a notch on the EU policy agenda. According to Eurostat, 80 million EU citizens are affected by some kind of disability, a number which is projected to increase to 120 million by 2020 considering the rising elderly population. Improving disabled persons’ access to services like transport is a United Nation obligation, connected with the 2030 Sustainable Development Goals (SDGs). For Catherine Naughton, director of the European Disability Forum (EDF), accessibility is a fundamental right enshrined in the UN Convention for the Rights of Persons with Disabilities (CRPD). “Accessibility is a pre-condition to enjoy other fundamental rights, such as access to the workplace, education, public services, free movement, leisure, etc. that persons with disabilities should enjoy on an equal basis with others,” Naughton told a conference in the European Parliament last month (8 November). The EU and a majority of its member states have ratified the UN Convention on the Rights of Persons with Disabilities (CRPD). According to Article 9 of the Convention, disabled persons should be enabled to live “independently and participate fully in all aspects of life” – meaning all obstacles must be eliminated. The Convention requires its signatories to create a legislative framework in order to improve access to buildings, roads, transportation and other indoor or outdoor facilities (schools, housing, medical facilities and workplaces). This also covers access to information, communications and other services, including electronic services. The European Accessibility Act covers products and services like computers, ATMs, ticketing and check-in machines and smartphones. It also covers services related to all transport modes – air, bus, rail and waterborne. Discussions among member states in the European Council and Parliament are underway but EU Commission sources say it is too early to say when final adoption could be expected. Currently, EU member states have accessibility laws and rules on a national level covering, for instance, the accessibility of buildings (ramps, doors, and toilets). However, they generally do not cover things like acoustics and signaling, while access to banking services like ATMs remains poor in most member states. “Using an ATM might be difficult or impossible for blind people if there is no voice output or for wheelchair users if they cannot reach it,” according to the European Disability Forum, an umbrella organisation representing 80 million persons with disabilities in Europe. Parts of the Act are complementary to existing EU legislation concerning, for instance, the rights of persons with reduced mobility when traveling by bus or airplane. Regarding ICT-related services, the EU has adopted the Web Accessibility Directive, where people with disabilities take centre stage. The Act will also make it easier for passengers with disabilities to book their tickets on the transport companies’ websites or directly via accessible ticketing machines. For instance, according to the Commission, a blind person will be able to “use voice or tactile interfaces to interact with the ticketing machines and also to get information about the schedule of his/her journey” while deaf and hard of hearing persons will be able to get informed about possible changes in the schedule of their train or bus journeys in real time in text format, complementing oral announcements. Backers of the Act claim that lack of EU harmonisation on accessibility and diverging national accessibility requirements lead to the fragmentation of the EU single market. They also believe that in the absence of coordinated action the divergence will most likely increase in the future as member states will have to meet the UN obligations. According to the European Commission, its proposal has three objectives. First, it aims to improve the functioning of the internal market by removing barriers created by divergent national legislation. Common EU rules will also facilitate cross-border business activity, resulting in costs reduction. Last but not least, it will also improve the everyday life of disabled and older people with functional limitations in the EU. EU Spokesperson Christian Wigand told EURACTIV that the Act had a wide range of benefits. “It will, among other things, improve the accessibility of transport services, of banking services and of digital devices and services. It will also help companies and member states save substantial costs by removing existing fragmentation of the internal market and preventing future fragmentation,” he said. The European Disability Forum (EDF), which has actively campaigned in favour of the Accessibility Act, is an enthusiastic backer of the Commission initiative. But EDF President Yannis Vardakastanis believes the scope of the text should be broadened to “make accessibility of the built environment obligatory”. He also believes the Act should “include other products and services such as accommodation services, household appliances, and payment terminals”. Leftist MEP Kostadinka Kuneva, from the Confederal Group of the European United Left – Nordic Green Left (GUE-NGL), shares the same view and considers the accessibility of the built environment as a prerequisite. “Based on the Directive, an ATM should be accessible to people with disabilities,” she told EURACTIV. “If there is no bar, the right elevator for wheelchairs, special access for people with vision problems who want to enter a bank, if there is no suitable staff to understand the behaviour of a person with mental impairment, what sense would accessible products and services have?” she said. Vardakastanis also recognises some key benefits of the draft Act, saying it places accessibility at the core of EU legislation, which is currently not the case. EDF also hails the horizontal approach of the Commission text, saying it sets minimum requirements for a range of goods and services in a coherent way. 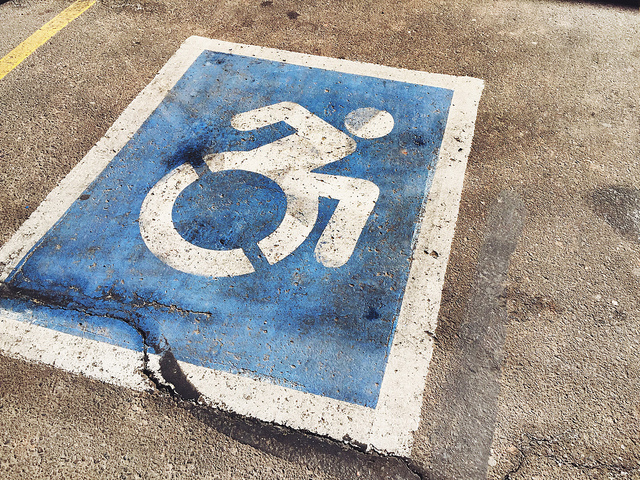 “Currently, we have a very patchy approach across many different sectors and pieces of legislation which means accessibility is not always understood in the same way and is often only added as an ‘afterthought’,” Catherine Naughton, director of the European Disability Forum (EDF), told EURACTIV. “The Accessibility Act will ensure that accessibility is at the centre of the law and persons with disabilities can refer to a single law which guarantees their rights,” she said. BusinessEurope, the EU employers’ association, says it is generally supportive of EU laws that enable more consumers to buy products and services. However, it said the draft Accessibility Act will limit businesses’ ability to offer innovative, useful solutions for disabled persons. Patrick Grant, an adviser at BusinessEurope’s Internal Market Department, denounced “vague provisions” open to diverging interpretations by national authorities that will act as “new internal market barriers for businesses”. Requirements that “dictate how to achieve something rather than what to achieve” will hamper innovation, Grant told EURACTIV. The EU employers’ association claims that the approach to market surveillance is “black and white” but accessibility is something that “cannot clearly be measured and can always be improved”. Asked about what could be done to improve ease of business and innovation, Grant replied that EU legislation should set the end goal and let private sector companies decide how best to get there. “The design for all approach is often useful for businesses but it should not be mandated. It often depends on the product, service or intended consumers,” Grant said, adding that legislation should be made future-proof to enable emerging technologies to be added later on. “The concept ‘tourism for all’ needs to become a reality, tourism services need to take into account the special needs of people with disabilities and PRM, facilities need to be adapted and staff needs to be properly trained. Further efforts must be invested in order to make transport and tourism services, vehicles and infrastructure, accessible, and digital and electronic information needs to be available to all citizens,” he added. Morten Løkkegaard, a Danish MEP from the Group of the Alliance of Liberals and Democrats for Europe (ALDE) and newly appointed rapporteur of the Act in the IMCO committee, wonders whether the scope of the proposal is precise enough. “The two aims of the proposal - one, to live up to the UN Convention on the Rights of Persons with Disabilities and two, to secure a more well-functioning Single Market should - of course be the aim and our common goal. Within this frame, I would like to raise the question if the scope of this proposal is precise enough. Will it guide us towards meeting the aims of the proposal?” he noted. In addition, the vast majority of respondents (97%) underlined that people with disabilities should be integral part of the society like people without disabilities. For instance, people with disabilities should have the opportunity to go to school, get employed, access shops and supermarkets etc.